The Australian Primary Health Care Nurses Association (APNA) welcomes the return of Dr Tony Hobbs to its Board. 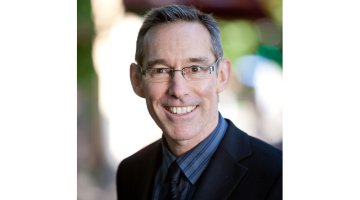 Dr Hobbs, who served on the APNA Board in 2011 and 2012, brings significant expertise in general practice administration, Australian health policy, and corporate governance. Dr Hobbs recently served as Deputy Chief Medical Officer of the Commonwealth Department of Health and prior to that appointment was Principal Medical Adviser at the Therapeutic Goods Administration, and is also former Chair of the Australian General Practice Network. Dr Hobbs has a strong track record supporting nurses in primary health care, and has long advocated the utility of nurses in primary health care, at the grass roots level through to his contribution as Chair of the External Reference Group that in 2009 developed Australia’s first national Primary Health Care Strategy, and by providing expert clinical advice to the National Chronic Disease Strategy in 2005. “Primary health care nurses are central to enabling increased access to high quality care for our local communities, working collaboratively with others in the health team at the top of their scope of practice,” said Dr Hobbs. Dr Hobbs rejoins the APNA Board during a time of substantial groundswell for the organisation, none more significant than the extension of the Commonwealth-funded Nursing in Primary Health Care Program for a further four years. This is a period of considerable growth for APNA, with a surge in membership, expansion in organisation capacity, and consolidation of its strategic positioning. “I’m impressed to see how much APNA has grown and evolved over the past six years, with a strong focus on supporting primary health care nurses’ educational needs and progressing innovations in service delivery,” said Dr Hobbs. On top of a 20 year rural general practice career, Dr Hobbs has extensive experience on boards, committees and advisory councils including the National Health and Medical Research Council, cancer, diabetes and kidney health advisory groups, and has worked with the National Prescribing Service on its diagnostic evaluation advisory group. He has also worked in remote health services in the Northern Territory and in Swaziland, southern Africa and in the NHS in the United Kingdom. “On behalf of the APNA Board, I am pleased to welcome Tony back. APNA looks forward to exciting times as we move into our next phase of work and setting the direction for nursing in primary health care,” said Ms Booth.